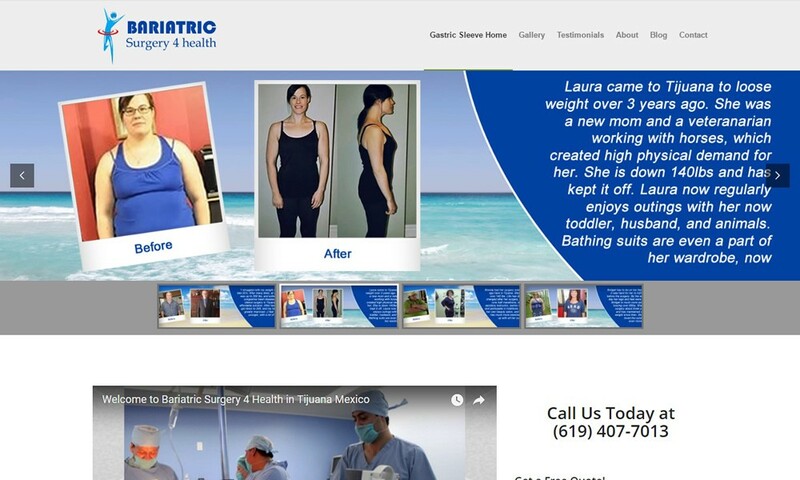 Our company, “Bariatric Surgery 4 Health”, represents bariatric surgeons in Tijuana, Mexico. Although our surgeons have a lot of experience with various types of bariatric surgery for weight loss, such as the gastric bypass, and gastric banding, the most common surgery that he does is the vertical gastric sleeve. The gastric sleeve surgery in Mexico has the highest success rate, and is less invasive, as it is an arthroscopic surgery. The feelings of hunger are greatly reduced, as is the volume of food that can be consumed. Also the metabolism remains high, so that the patient burns calories at a higher rate. A patient will need to come to Tijuana, Mexico for the surgery, and we can help you get to Tijuana from the San Diego airport. We have one of the nicest surgical theaters in the city, that is extremely modern and well equipped. Our team of bariatric surgeons have performed hundreds of bariatric surgeries. We offer excellent, personalized attention, and promise to take great care of our patients.